Posted on Февраль 7, 2018 by Татьяна Н.
Вы уже знаете,что такое артикль и самые простые правила употребления артикля в английском языке. Далее вас ждут упражнения по теме «Артикль в английском языке (для начинающих)». Начнем с артикля a (an). Вспомните ПРАВИЛА 1-3 и выполните упражнения ниже. Упражнение 1. Поставьте артикль a (an) перед существительным, где нужно. This is … boy. That is … girl. This is … cat. It is my… cat. Is this your… dog? No, I have no… dog. I have … cat. Is that his … car? No, it isn’t his … car. It is his father’s …car. She has … sister. Her sister’s … husband is … dentist. They have got two … children. Their daughter’s … name is …Nancy. Nancy is … kind girl. She is … 15. He has many … friends. Her… brother is … very clever. Упражнение 2. Поставьте артикль a (an) перед существительным, где нужно. This … cat is very … nice. That … dog is very … big. My… dog has three … puppies. I can see … animal in the picture. This … monkey is … funny. Give me … pencil, please. I will draw … dolphin. Would you like to draw … animals? … lions are very … strong. This … family has no … pet. Упражнение 3. Поставьте артикль a (an) перед существительным, где нужно. This is … cup. This is … my mother’s cup. This is … apple pie. These are … apple pies. There is … shop in the street. There is no … kiosk in the street. It’s … nice yellow jacket. This … jacket is Kate’s. I have got … child. My … child is clever. That … man is … pilot. Those … men are … pilots, too. My hamster eats … apples, … carrots and … potatoes. I like … sweets and … cakes. 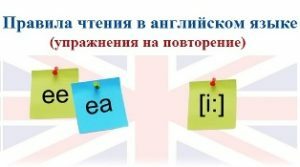 Повторите тему «Указательные местоимения this (these) и that (those) в английском языке». Упражнение 4. Поставьте артикль the перед существительным, где нужно. … sun is a star. … earth is a planet. … weather was fine yeterday. There are … apples on … table. You can’t see … moon in … sky tonight. It is very dark in … room. I went to the shop and bought … bananas. I like … bananas. I always help about … house. … girls are at home. Where are … boys? Пропустите это упражнение, если вы не знаете, что такое прилагательное в превосходной степени и порядковое числительное в английском языке. I live on … fifth floor. Who is … cleverest student in class? … monkeys are … funniest animals. What is … longest river in Russia? … girls are in … first form. … most difficult language is … German. … father’s car is in …. garage. What is … best season? Упражнение 6. Поставьте артикли a (an), the перед существительным, где нужно. 1. Pete has … small family. He has … father and … mother. He has no … brother, but he has … sister. His sister is … good girl. 2. I have … many Russian books, but I have no … English books. 3. There is … writing desk in … room. … writ­ing desk is large. There is … lamp on … writing desk. 4. My uncle has … large family. They are six in his… family. … family is big. 5. My father is … engineer. He works in … big factory. … factory is near his … house. 6. We have … good library. We keep books in … big bookcase. … bookcase has three … shelves. Как правило, артикль a ставится перед существительным, которое является обстоятельством места, если у него есть определение. СРАВНИТЕ The book is on the table. VS The book is on a big round table. Упражнение 7. Поставьте артикли a (an), the перед существительным, где нужно. Ann has got two children: … boy and … girl. … boy’s name is Steve. … girl’s name is Susan. I have got … pets: … dog and … cat. … dog is black and … cat is white. What … clever dog! … dog can understand my questions. What … lazy cat! … cat sleeps all day. We bought … vase yesterday. … vase was very large. I like … sun. … sun gives us light and warmth. I like to see …. stars. … stars are always beautiful. … forth poem was … shortest. … garden has no … flowers. I can see … birds in the trees. … birds are crows. Вы выполнили упражнения по теме «Артикль в английском языке для начинающих», продолжайте изучать тему «Правила употребления артикля в английском языке» (уровень средний) или переходите к другой теме — Английская грамматика по уровням (beginner, intermediate, advanced).